Beauty Clinic Lotus offers cryolipolysis, a new way to remove fat cells using freezing. Cryolipolysis is also known as lipofreezing. Cryolipolysis is an effective new way to break down fat cells locally by exposing them to low temperatures. During a cryolipolysis treatment the fat cells are cooled in a way that enables the body to break them down and dispose of them. During the treatment unwanted fat deposits are treated in a controlled and non-invasive way to enable an improvement of the body’s contours. The exposure to low temperatures addresses sub-cutaneous fatty tissue without damaging the surrounding tissue. Cryolipolysis is a non-surgical alternative to liposuction, developed by Harvard scientist. Beauty Clinic Lotus offers this treatment for very competitive prices. Cryolipolysis has been approved by the american food and drug administration. During the treatment, a special conductor is placed onto the chosen body zone and the sub-cutaneous tissue is lifted using vacuum technology, after which the fatty tissue is cooled with selected cryo-techonology. Using fast cooling the sub-cutaneous tissue is destroyed. The fat cells in the sub-cutaneous tissue contains a lot of saturated fatty acids and they are therefore more susceptible to cold exposure. Thanks to this new technique little rolls of fat in specific areas such as the belly, legs, and waist can be tackled. When dieting and sports do not deliver the desired results cryolipolysis can be very helpful. At Beauty Clinic Lotus we offer the possibility to treat more than one zone at the same time. After the treatment, the body’s natural metabolism will gradually remove the treated fat cells through the kidneys and the liver. The first results from the treatment will be visible after 6 to 8 weeks. Because the fat cells are drained gradually, the skin will adapt to the new slimmer contours without slackening. The big advantage of cryolipolysis is that the fat cells are treated without damage to the skin or any other surrounding tissue or organs. Research has shown that fat cells are naturally more vulnerable to the effects of cold then surrounding tissue, and that fat cells can be safely removed without damaging the skin.Results may vary from person to person.The selective effect occurs because the fat cells crystallise at a higher temperature than the freezing point of cells containing water. In this way cryolipolysis can tackle fat cells, whilst skin, muscles and nerves remain unaffected. After a free intake consultation we first decide whether this technique is suitable for the particular client, after which the treatment method is explained and treatment plan is made. The number of treatments necessary depends on the volume of the chosen zone. For the best results you will need 3 to 5 treatments on average.There are 6 weeks between treatments. What does the client experience? During the first few minutes of the treatment a client will experience an intense sensation of cold which passes quite quickly. The client is sitting or lying down comfortably and can read, use a laptop or even sleep. Depending on the number of treated zones, a session takes about one to two hours. Once the cryolipolysis treatment is completed after 60 minutes, we massage the area to be treated with a lymphatic drainage device or with the hands. You can resume your everyday activities on the day of the treatment. This includes physical (sport) activity. For whom is cryolipolysis suitable? Cryolipolysis is not meant to facilitate weight loss, but it is intended to improve the contours of the body and remove localised fatty deposits. Therefore the treatment is not suited to treat excess weight. Precisely those people who, despite intensive exercise cannot get rid of, for example, their ‘love handles’ can benefit from a cryolipolysis treatment. When these problems areas, despite diet and exercise and its associated weight loss, don’t want to shift, cryolipolysis can be for you. So for people who, despite a healthy lifestyle, have little rolls of fat that they can get rid of, this treatment is a quick, painless and relatively easy treatment method. 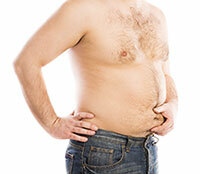 But also people who are losing weight through a diet can use cryolipolysis to break down excess fat more easily. To be clear: you lose weight through exercise and a healthy diet, whilst cryolipolysis helps shrink your so-called ‘problem zones’. The results of the cryolipolysis treatments are comparable to invasive treatment methods such as liposuction. The results are retained as long (through a healthy diet and exercise) the normal calorie balance is retained. In other words, by paying attention to your diet and exercising regularly the long-term results will be stable. It is also possible to optimise the results of a cryolipolysis treatment by combining the treatment with an endomology session and sound waves at which we are very experienced as well. Which zones can be treated? 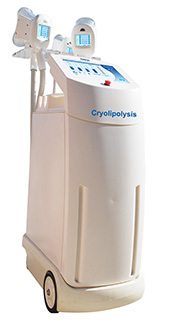 Every zone of the body with unwanted fatty deposits can be treated with cryolipolysis. The side effects which can be caused by the treatments are minimal and harmless. There can be localised redness, bruises and a slight temporary numbness of the skin. These potential side effects disappear naturally over time. Usually the thighs, belly, “love handles” and arms are treated. In cases of noticeable asymmetry of the body’s contours it is also possible to treat just one side.